Get a drusy that's a doozy. The outstanding sparkle of drusy can only get better when it's wrapped in a large, lacy framework of glimmering sterling silver. Whether it's your only piece or a big player on a team of accessories, this ring will ring everyone's bell! This saddle ring is so well made and beautifully hugs your finger. 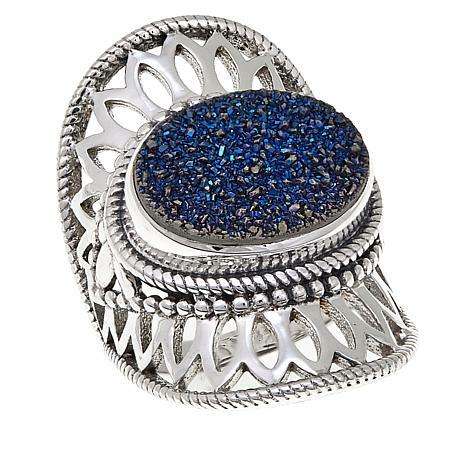 The blue druzy is beautiful and perfectly placed on this ring. Give this beautiful druzy ring a try and you will proudly wear it and love it! I bought the darker blue ring and I love it. The quality of the druzy is great. The design is also great. I highly recommend this ring. True fit to size. 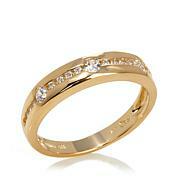 I really like this ring! I was struck by the setting and the steely blue color of the Drusy. I agree this setting is so striking. I got the Caribbean blue and it blends so nicely with the Drusy. This is my favorite setting that I've ever seen for a druzy ring. The setting is also called a "saddle" ring. I love it. 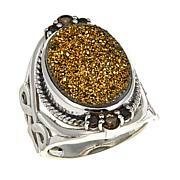 This is a beautiful drusy ring. It is absolutely stunning! I love it.